If you are given a carte blanche to create your own heaven, how would you design it? Would you make it a shoppers' paradise or would you make it a rocking party venue or maybe the perfect beach? You know what I would fill my heaven with? 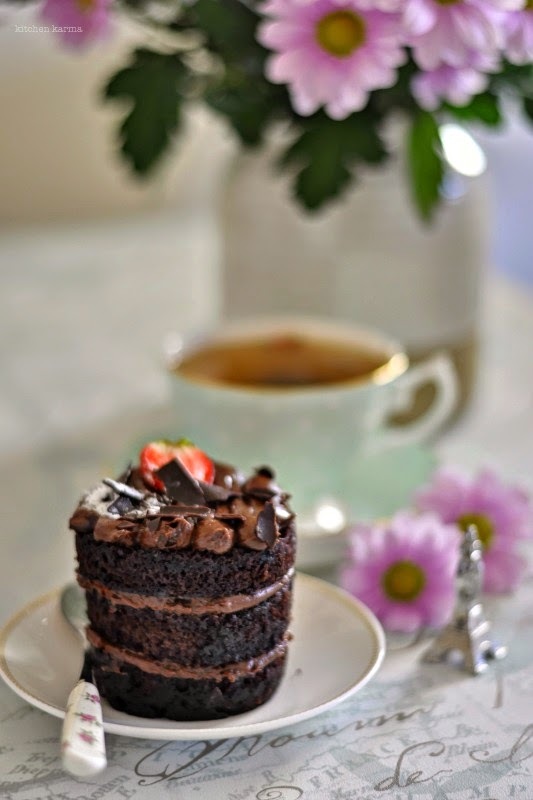 Food, and not just any boring old food, but cakes, chocolates, ice creams, all things fattening and fun. No surprises there, huh? And yesterday I got a glimpse of the kind of heaven I would design. 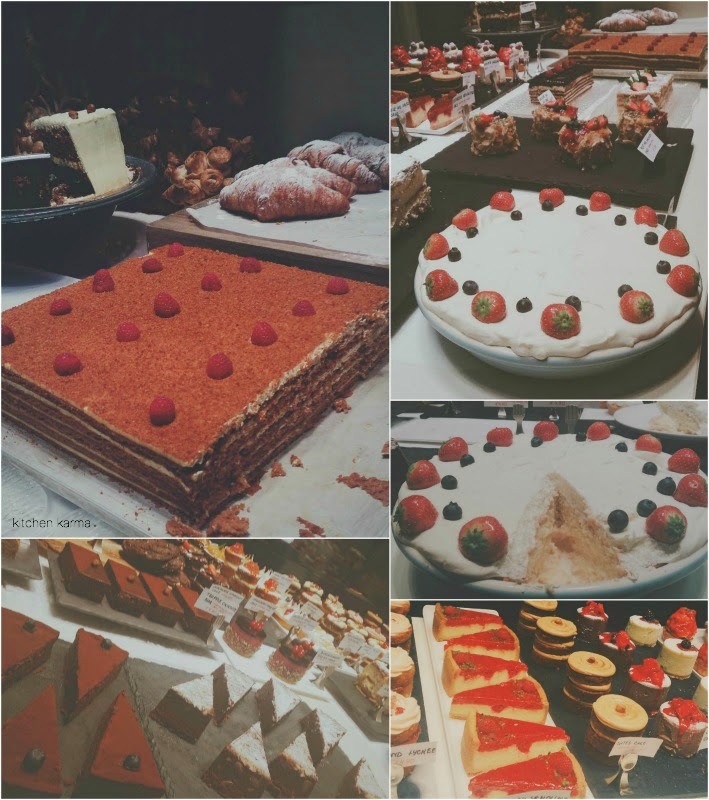 It was the launch of L'eto Caffe's Knightsbridge branch and they had organised a spectacular cake spread. It was a cake lovers mecca, more so because we were asked to taste unlimited amount of cakes and they even packed some for us. 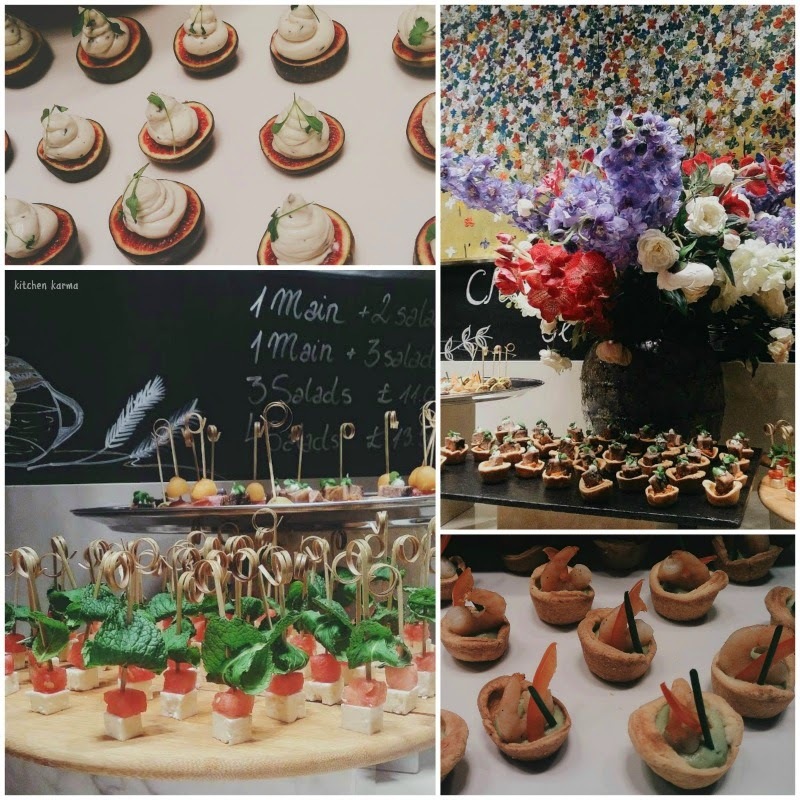 They also had an array of canapés, my favourite from the lot was the shrimp and avocado one. Now if you are a Londoner you must have visited one of the L'eto Caffes dotted around the city. The Soho branch is my favourite. So whenever I eat out in Soho, I save some space and pop into the cafe for a spot of sweet. So now there is another one to go to and this one is just a stone's throw away from Harrods. So if you in the area shopping, or visiting the museums, do pop in there. Or if you are anything like me make a trip just to go to the cafe. Oh I forgot to mention, they also do salads and do sit down menus. Some of the cakes we ate yesterday. The one on top left is the famous honey cake. This is the first time I tasted honey cake and it tasted very festive, full of rich & warm spices like cinnamon and ginger and not too sweet. Some of the savoury canapés we were served. The feta and watermelon one with mint looked so bright and very refreshing after all that sweet. There was a melon one with parma ham which was also very good. Remember I mentioned that they even packed some cakes for us. I got this chocolate & cinnamon cake, which is super yum. As you can see my breakfast today was super indulgent! Really sad I missed this last night, I was bundled up in bed with flu :( Looking forward to going down there this weekend though, everything looks so delicious! Looks like a dessert lover's paradise. The avocado and shrimp canape sounds great too. Oh my heavens, Suchi! My day has been made just looking at this paradise of heavenly goodness! I can't even imagine such deliciousness all in one place! I would have been quite pleased with the Chocolate & Cinnamon cake in the last picture. I'm stuffed!